Ok people is that time of the month again, and we at the #TwelveLoaves club, are super exited to be sharing with you delicious recipes inspired by onions, yes, all kinds of onions, you named it . On this occasion I made for you this delicious, amazing, incredible muffins, with caramelized onions and cream cheese, yep, this are really good flavors to combine, and oh my so good, with anything, cup of coffee, tea, soda, green tea, like I said, anything. The best part is the you can make this muffins by hand no need of any special utensil, well only if you want to, but no need too. Try then and enjoy, then let me a comment to see how you like them. TO CARAMELIZED THE ONIONS: In a low heat pan, add the onions, butter and oil, let it cook for 10 minutes, moving the onions once in a while, let it cool completely before adding to the mix. In a bowl add, cream cheese and sugar mix until soft and well combine, add the egg, salt, pancake mix and the butter, combine well then add onion and half and half. Prepare a muffins tin with cooking spray and fill in with about 2 tablespoons of the mixture, then sprinkle the scallions and bake for 38 minutes. 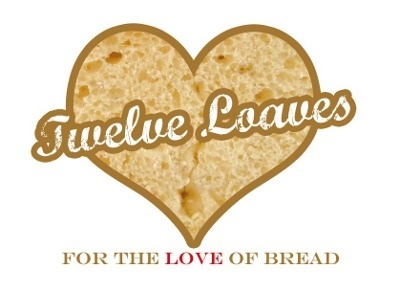 #TwelveLoaves is a monthly bread baking party created by Lora fromCake Duchess and runs smoothly with the help of our friend Renee from Magnolia Days.